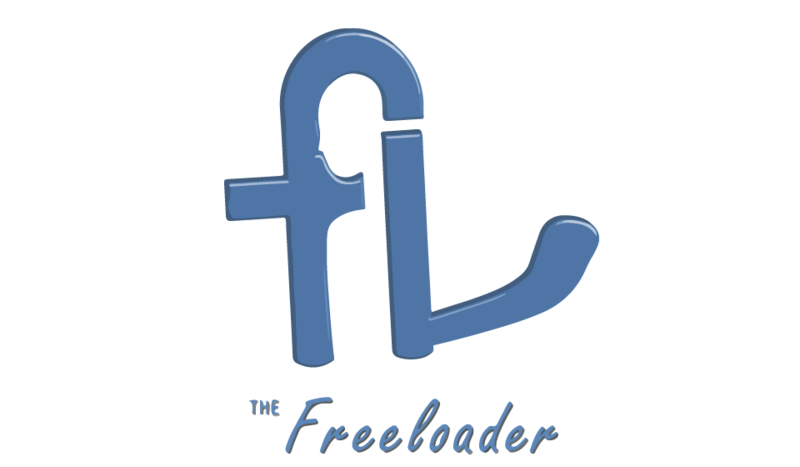 THE REVIEW: I was provided with the opportunity to test out The Freeloader and let you guys know if and how it works. I chose the 'Midnight' color. 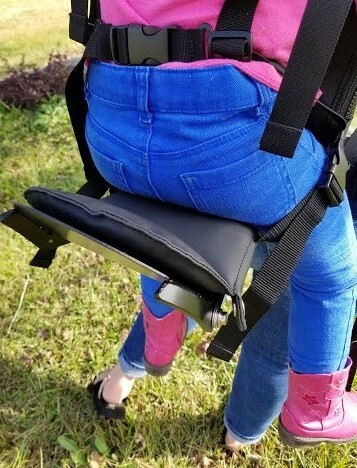 There are other options available on their website, but since I wanted to try this for my daughter and I, I selected the one that would work the best for my situation. 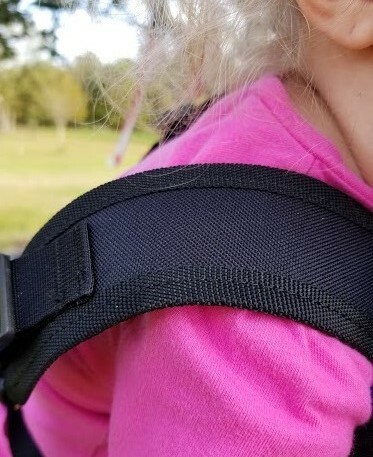 Carrying around a tiny baby is not the hardest thing in the world, but when that baby grows, it becomes a bit more difficult to get around comfortably. 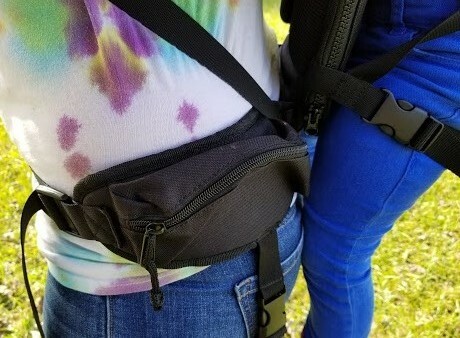 While babies are in their younger years, there are a plethora of modes of transport-- from wraps to strollers, whichever is best for the parent. Sure, a toddler can be pushed around in a stroller, but are strollers always practical? 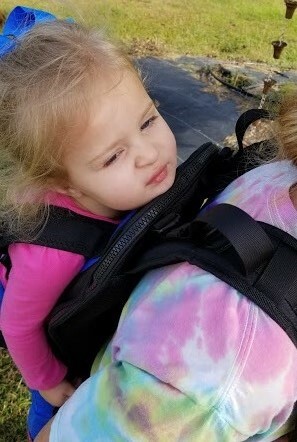 Sometimes I find a stroller to be cumbersome and bulky in certain situations. When I'm trying to shop quickly, go to a known crowded area, or if I need to move quickly, I look for something like the Freeloader Child Carrier as a first option. + This arrived in a very small box. I thought it was going to be more of a 'pain' to set up, but it was very EASY! + It feels extremely high quality. + This actually folds up for easy transport/storage. 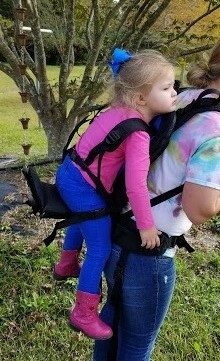 This child carrier can be found here and costs $299.99. Shipping (for me) was calculated at $20. 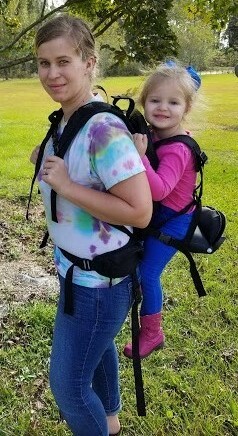 Cici and I use this child carrier all of the time! 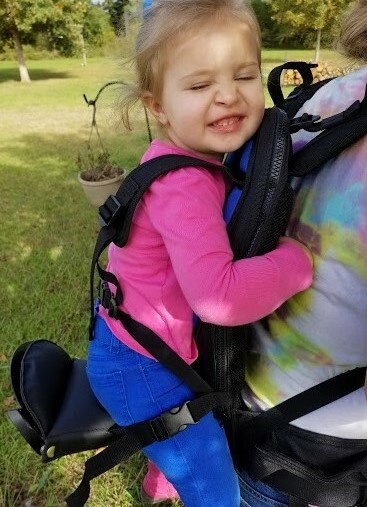 She feels comfortable on the seat, and we love the adjustable straps and harness. 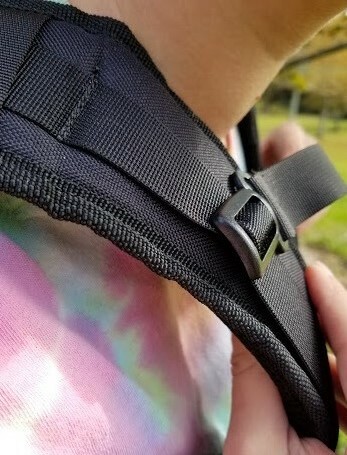 There is an adjustable waist strap for the adult, as well as an adjustable shoulder strap to keep everything safe and fitted. 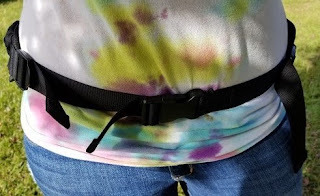 One of my favorite features are the extra storage pockets on both sides of the waist straps. If you have to have a waist strap, you should definitely have storage pockets attached, and The Freeloader has those! 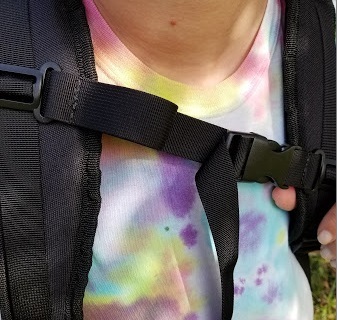 Both adult and child shoulder straps are padded for maximum wear comfort. The seat folds up and down for storage and transport. It is a larger seat which reminds me of a cycling seat, providing both room and comfort for a growing child. Lastly, another important feature is the back of the product. There is a physical barrier between parent and child. It is both breathable and lightweight. Also, it is padded for your child's comfort, yet does not lean directly onto your back like a typical child carrier. This spares the parent from pain, and adds an element of comfort. I loved it! + Extremely breathable and comfortable for both child and parent. 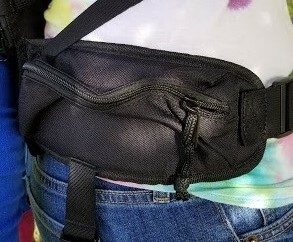 + Easy to store and transport. + Great for older children. + The company has literally thought of everything for comfort. - Can be expensive for many people to afford. + YES-- does distribute weight evenly. + YES-- keeps you cool and dry. 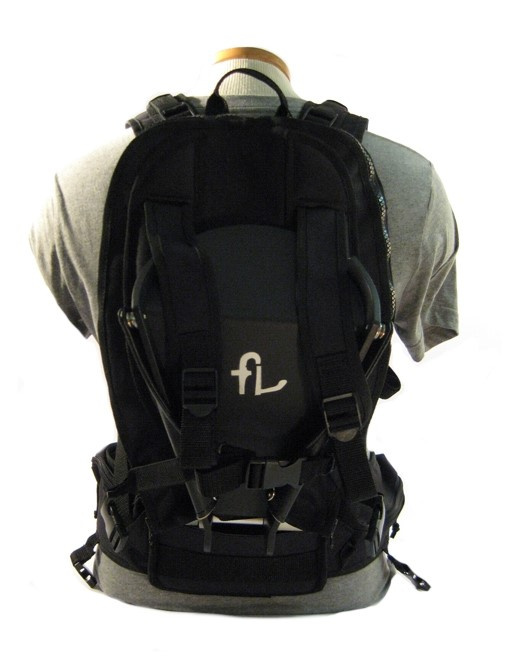 + YES-- comes with a safety harness. Order here (pricing may vary).